Inventory management is critical to keeping your publishing business operating smoothly and your customers happy. Inventory is usually one of a publisher’s two largest assets, the other being accounts receivable. Every company needs to manage all aspects of their inventory—from what titles and quantities to print to what it costs to carry unsold books. Publishers generally deal with printed books inventory, and sometimes raw materials and printed books on consignment in foreign warehouses. A publisher may also have several other forms of inventory to monitor, such as catalogs, and “sold” inventory in the distribution channel that is still returnable. 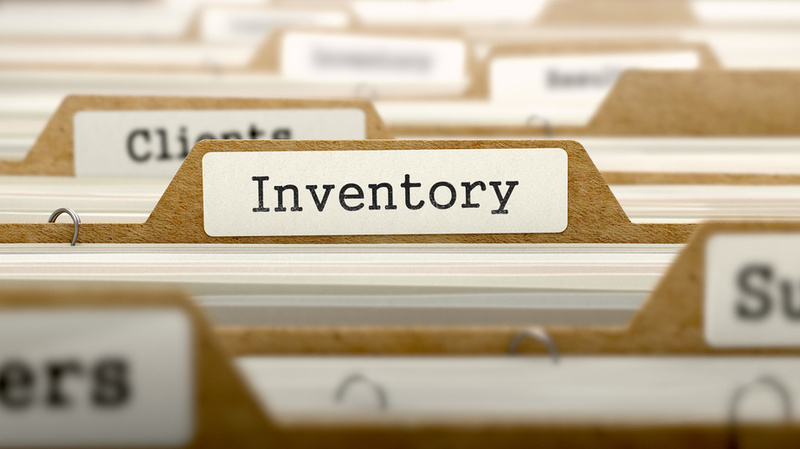 Each title in your inventory when viewed individually may not warrant concern, but the impact of all titles in inventory is greater than the sum of the parts. To maintain the lowest inventory investment and carrying cost while achieving objectives 1 and 2. Forecasting book sales and determining the best order quantity for every book is a challenge, of course, and unfortunately publishers often respond by using the economic order quantity (EOQ). The EOQ is designed to produce a number for a print run that will minimize the combined costs of producing the book and carrying it in inventory. In other words, the EOQ balances setup costs against sales rates and carrying costs. Sounds good? Don’t believe it! It can work for a single title but the pricing models make it tempting to raise the print quantity and, for obvious reasons, some printers will encourage you to do that. The total process approach, by contrast, always focuses on those first two objectives: keep all titles available for sale and produce the most margin. When you run out of a title because you spent too much for the inventory of another title, then you lose sales and margin. You must consider the system as a whole and not simply a series of independent purchasing decisions. As this discussion of EOQ shows, inventory management is inextricable from decisions about marketing, purchasing, printing, and cash management. Striving to offer the right books at the right time, you must also strive to make finished books inventory reflect your decisions about the various products your house is trying to offer. While inventory levels and costs are important, so is making the right book that will sell best to the targeted consumer. If you’re publishing high-end art books, will you sell more products and generate more margin by having a more expensive inventory? Is the answer the same if your line is mass-market paperbacks? Trade book publishers want books with impact and consumer marketability. That is not always necessary in other publishing areas, such as journals or directories. What you offer should be the best combination of packaging design, illustration, printing quality, paper quality, retail pricing, and overall perceived value. Every publisher should have an inventory purchasing plan. To create yours, add opening inventory to the spreadsheet that gives the purchasing department your monthly net sales forecasts, and determine run-out dates of current titles. Also, add all of the coming year’s reprint purchases noting units and costs. Now add the same information for your new titles directly from your title P&Ls. Impact on cash flow. Because you can now see all of your purchases for the coming year by month, you can load all of your purchasing plans into your cash flow model, using appropriate offsets for payment terms. Monthly and year end inventory values. To calculate and chart inventory, start with current numbers, add monthly purchases from your purchasing plan, and subtract cost of goods sold from your budgeted income statement. Trends in total inventory levels. Your chart of monthly inventory values will provide a dynamic picture of what’s happening. Does it show your inventory increasing? If so, how much and why? Inventory investment target. Your target level for maximum inventory value should be consistent with what you can afford in your cash flow and your borrowing resources. Work with your purchasing department so they are aware of what the inventory level targets will be—quarterly and annually. You will probably have to rework your purchasing plan once you see the inventory values and the cash flow impacts because the inventory planning process is iterative, ongoing and fluid. Inventory turnover. You can always work on improving your inventory turnover. To determine yours at any given time, divide your expected cost of goods sold for the year by your average inventory (Prior Year End Inventory + Current Year End Inventory / 2). What is your result? An inventory turnover of 1 is a rule of thumb. The average publisher with less than $1 million in annual sales probably has a turn of .7, while the average mid-sized publisher with sales of $15 million has a turn of 1.3 or better—nearly 100% more. Although the direct costs of paper, printing, and binding (PPB) may be the most obvious expenses of having the book in inventory, they’re not the only ones. Additional, indirect costs involve interest (including implied interest for use of a publisher’s capital related to keeping books in inventory), insurance, storage, damage, obsolescence, write-offs, and lack of flexibility for repackaging/repricing/revision. Hidden costs of inventory are warehouse personnel, warehouse racking, forklift repairs, and computer systems to track inventory. To be profitable, a publisher must manage both indirect and hidden costs as well as PPB. Best-sellers. Because it’s never good to run out of a bestseller, a publisher must determine a safety stock level that will protect against fluctuations in both production and demand. Ideally, the safety stock will be almost used up as the next printing is becoming available for shipment. Monitor best-sellers daily or weekly to determine how many days’ worth of stock you have, based on current or expected sales. Always have your next order scheduled near the time you expect to need it, and adjust the advance schedule with your printer every week as necessary. Midlist sellers. The keys are short runs and knowing the demand rate. Now that publishers have access to retail sell-through information from sources such as Bookscan and Ingram i-page, they don’t have to guess as much about the right size for second and subsequent printings that will provide inventory for roughly six to nine months. Instead they can base their print orders on demonstrated demand. Whatever the size of your print run, though, you should design your books with POD technology in mind to ensure any future transition from short run to POD is seamless. Slow Sellers. Now that Print on Demand offers small print runs of a book at a higher per unit cost, publishers can choose to use it for slow moving backlist books. Quality varies, as we all know, depending on the vendor, but POD does have the potential of generating additional margin while creating little or no inventory. Physical control of inventory is essential too. This includes receiving, warehousing, shipping, physical inventory, and cycle counts. Also, take write-downs for titles that don’t seem likely to sell out over the next two years. Every publisher needs to review options for inventory reduction as part of ongoing inventory and cash management. Inventory reduction strategies include reducing printing costs and lead times, changing book designs for alternative printing methods, using purchase to demand for midlist sellers, and POD for slow moving titles. Always consider inventory as a total process to keep in balance.